At only 14 years old, first-year Red Cloud High School student Summer ’17 is already changing her community for the better. She was recently awarded a competitive Disney Friends for Change grant to pursue her dream of advocating for better health on the Pine Ridge Reservation. Through the grant, she earned $500 to create “Harvesting Ideas to Address Nutrition on Pine Ridge”—a project she will present at the Lakota Children’s Enrichment’s (LCE) Game Changers Youth Summit on April 12. “Diabetes is so common here—anyone can get it. I think eating healthy can lower that risk for future generations,” says Summer. The Disney Friends for Change grants are awarded to young people across the country who create their own service projects to spur positive change in the world. As a Youth Advisory Board member for the nonprofit Lakota Children’s Enrichment, Summer has been involved in a number of projects designed to empower youth on the Pine Ridge Reservation. LCE’s Youth Summit will bring young people from across the reservation together as part of Youth Service America’s Global Youth Service Day—an international effort to recognize the positive impact that young people have on their communities. At the Summit, Summer will run a panel discussion about food choices and the benefits of exercise, and then direct students in creating healthy snack bags. 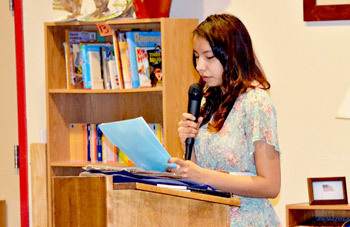 Summer first got involved with LCE by entering the organization’s reservation-wide Writing Challenge in 2013. She wrote a poem about her mother that impressed the panel of judges and was named runner-up in the middle school category. Writing poetry, Summer says, is something that has been a part of her life for years. Just two days before taking center stage at the Youth Summit, Summer was once again named runner up in this year’s LCE writing competition. Her work was judged alongside nearly 100 other entries by a panel of authors, poets, journalists, and even a Nobel Peace Prize winner. In the future, Summer knows she will keep writing. She also plans to continue her work advocating for healthier foods and better nutrition in her community. Right now, she’s even considering starting a garden to produce healthy foods on the reservation—and getting national attention for her advocacy. 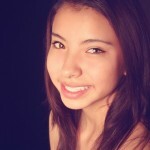 She recently received an Honorable Mention in the Center for Native American Youth’s Champion’s for Change program. and her work for Lakota Children’s Enrichment!